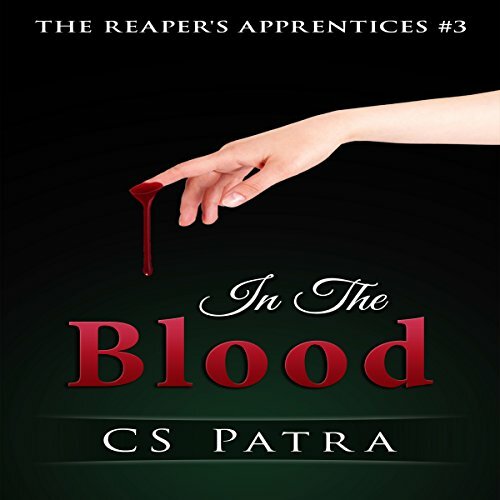 It has been years since the massacre that killed off all the Reaper's Apprentices. Demons and humans are now at war. The only thing that can get them to fix the chaos is if they come together. However, this is going to be a difficult task. Demons and humans do not get along. What did you like best about In the Blood? What did you like least? I thought the writing was weak, distracting from the story. I think the narrator needs practice in dramatic reading. She was okay but sounded like she was just reading, not acting. This is book 3 in the series, I'm not sure if I missed anything in the first 2 books but this book seemed low key and sometimes childlike for a book about demons and demon hunters, I want to attribute this to the narrator instead of the book itself. There are 4 female demons who find 4 male demon hunters in need and save them and bring them back to their place. They start to fall for each other and they finally tell the men the truth about the fact they are demons. They agree to help each other for the greater good and put their "differences" aside. I really never got into this book, the narrator was awful. She would be great for a children's book but not for an adult paranormal book. All the voices sounded the same and was very monotone. There was no real distinguishing of voices. I would not have used a credit for this. This is my honest opinion of this book.